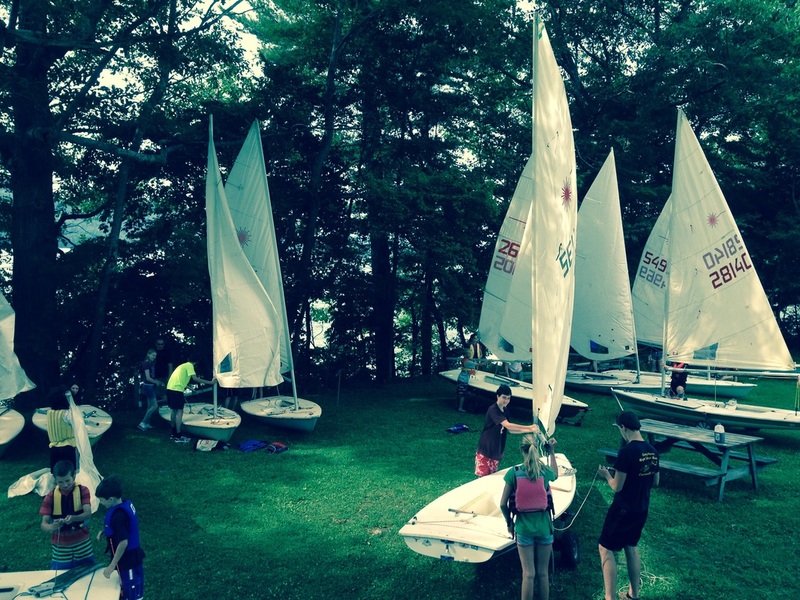 The Otsego Sailing Club, Inc., is a non-profit organization of sailboat owners who have mutual interests in sailing and sailboat racing. It was founded to encourage recreation and competitive sailing, to promote safety in sailing and all associated activities, and to promote good sportsmanship. The club traces its roots to the summer of 1961 when five families sailed together on Otsego Lake. That fall they organized the Otsego Sailing Club. By-laws were written and race and social programs organized. The support that the club received from Harry Cook was one of the key factors that assured its future. For several years he permitted the club to rent part of his land. He then sold to the club the property it now owns. We have prospered over the years because of the good will and cooperative spirit of its members. Membership includes obligations and responsibilities in order to ensure the continuance of the club. OSC club property is compromised of 2.5 acres encompassing 325 feet of shoreline. The Club is located well off the highway offering ample parking for cars and boats. The property is set up with areas dedicated for children, camping as well as a tent for large social gatherings with a BBQ area. The property also has a concrete launch ramp for the private use of our members.